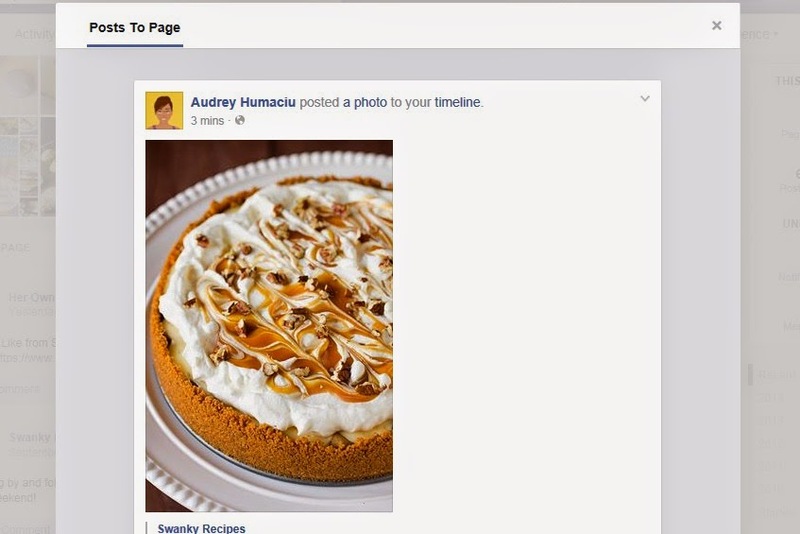 I shared a number of things on my That Recipe page this week that never showed up on my page’s news feed. Recently they added the feature to choose between posting as your personal page or business page when you are on your personal page. 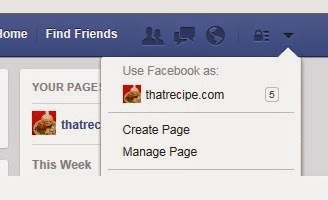 Sounds great, but if I am on my That Recipe page I obviously want to post as my business page. Pretty worthless in my case. Not only worthless, but this change somehow became a hindrance to me as far as sharing goes. My friends and family shared a few things on my personal news feed I wanted to share on That Recipe. I clicked Share on the photo and chose “on a page I manage” from the pull down menu. Then hit the blue Share Photo Button on the bottom and…. Whaaaat? It shared the photo on a page I manage alright, but since it didn’t share “as my page”, it only ends up appearing for my friends and family that have liked my page. It took me two days of only my personal friends and family seeing my posts for me to catch on it wasn’t appearing in the news feed. In case this is happening to you, here’s a work around until Facebook “fixes” things again. 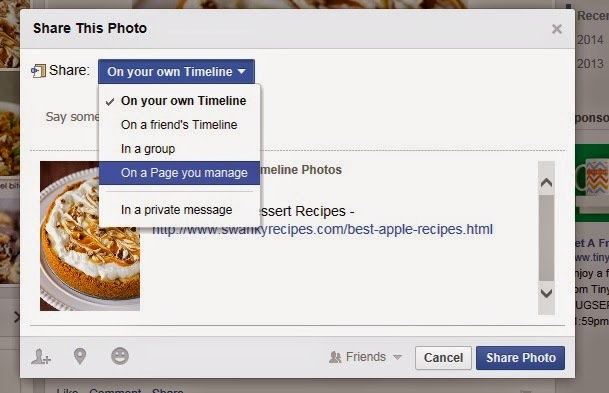 Choose to use Facebook as your page. 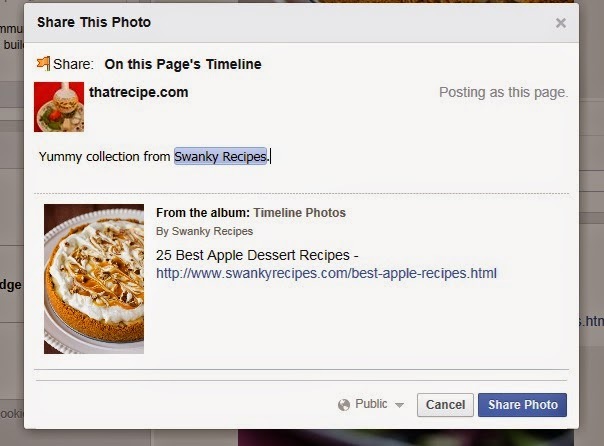 Find the content you wanted to share and go through the normal sharing steps. And voila it posts it correctly. Pain in the arse, but it works. So why not just go to the website and share from there? 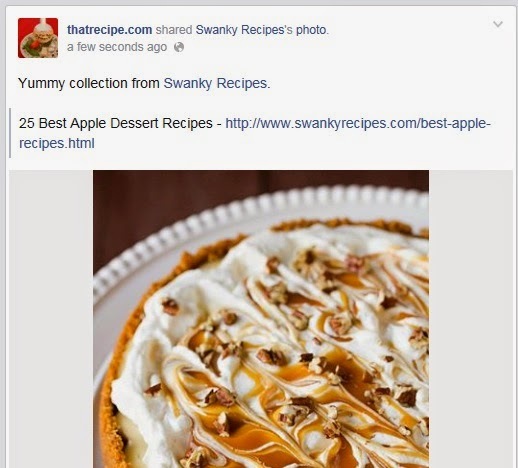 I could do that, but by sharing from Swanky Recipes Facebook page it increases her posts visibility which is a nice thing to do for a fellow blogger. 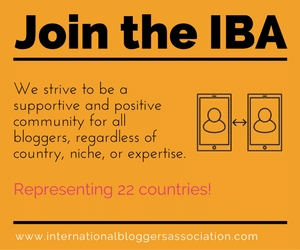 If you are looking for some bloggers to help you out like this then you need a Blogging Network, which I will chat more about tomorrow. In the meantime, click here if you want the 25 Best Apple Dessert Recipes.